A lot of people ask me where they can get the P90X Workout Guides because they lost theirs, are borrowing a friends P90X, or bought a fake set of P90X DVDs thinking they would receive it. No worries. You can get it by following the steps below. 1. Get a Free Beachbody Account. 2. Hover over the Get Fit tab. 3. Click on the Fitness Tools tab. 4. Click on Workout Sheets. Inside you will find the P90X Fit Test and P90X Workout Sheets available to be printed. Its not the actual P90X Workout Guides but it does tell you what week to do each workout. It will also help you keep track of your reps and weights used. 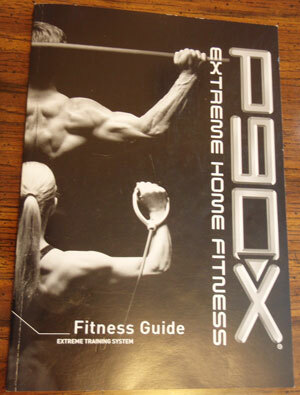 The only way to get the actual P90X workout guides is to buy P90X. If you do not want to do that then this is your best option. Too many people just grab a P90X DVD and start skipping around. Unfortunately, they will not see the same results as if they were to follow the P90X workout guides. The science of muscle confusion is at work when you follow the P90X Workout Guides so you better be following it.